at the time of birth, and her residence was Pemberton, Wigan, Lancashire. 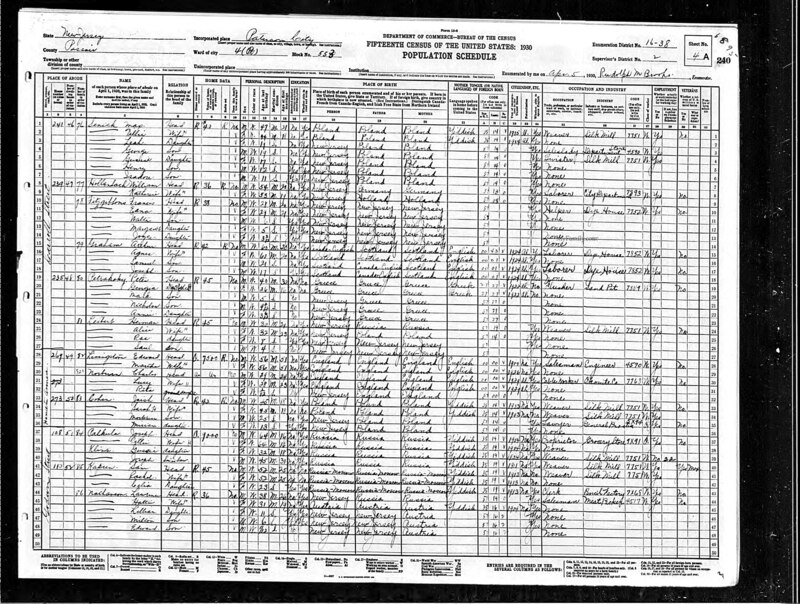 1930 census shows her living in Paterson with mother Martha, stepfather Edward, husband Charles, and daughter Rita. Per Richard Glover email of 11/29/10.